Man time really flies. It is so hard to believe that in this past few weeks we have celebrated Parker’s 7th Birthday and Monday is Duncan’s 5th Birthday. It seems just like yesterday we were bringing Parker home from the NICU and Duncan from the hospital. As you all know I go BIG for Birthdays around here. We had a “Jenn style” party for both Duncan and Parker last weekend. 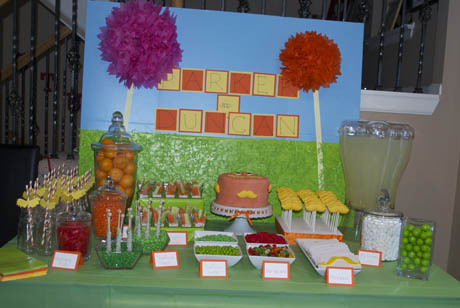 The theme was “the Lorax”. I have to say that I think this was one of my favorite parties yet. We had a great time with our friends and family even if there was like 60 people here!